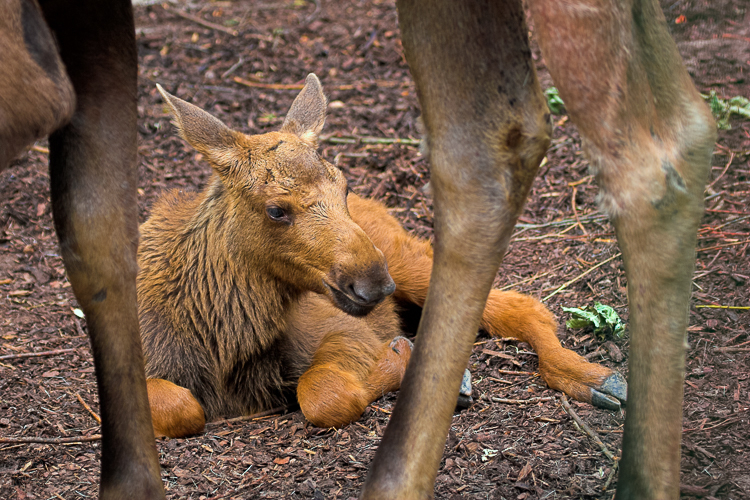 A young moose calf - approximately 1 month old - lying at his mother's feet. In this picture the difference in color is very obvious. When born moose calves are reddish brown, while the fur darkens and looses the red tones when getting older.